The dusty border town of Poipet has been described as a wasteland. Much of the town was settled by refugees escaping the massacre of the Khmer Rouge genocide, and the shelters and and shacks in which much of the population still lives are a stark reminder that Cambodia is still recovering from those events decades ago. The streets have no sanitation services, and there is a serious threat of typhoid and malaria. Norin Rotha’s family lives here. Their small home has tin walls and an earthen floor. One room has a small, raised wooden platform on which the family sleeps on straw mats. Just below the platform is a pool of black, stagnant water. But from these inhospitable surroundings comes a ray of hope. Rotha, who attends 9th grade at Poipet Secondary School, is a Lotus Outreach GATE scholar. Piled on a shelf are her books and a small whiteboard she is using to teach her siblings to read and write. Rotha is completely committed to her studies, but managing the needs of her family and siblings is a considerable challenge. Rotha’s older sister was married and divorced after having three children. She left Cambodia to find work in Thailand three years ago and never returned. Her family does not know what has become of her. Rotha dropped out of school in 8th grade to care for her sister’s children. Thanks to BGR sponsorship and a grant from Lotus Outreach’s GATE program, she was able to attend school again. “Since I have the GATE scholarship, I am able to study from 7 AM to 6 PM and use my stipend to pay for a packed lunch that I prepare before I go to school,” she says. 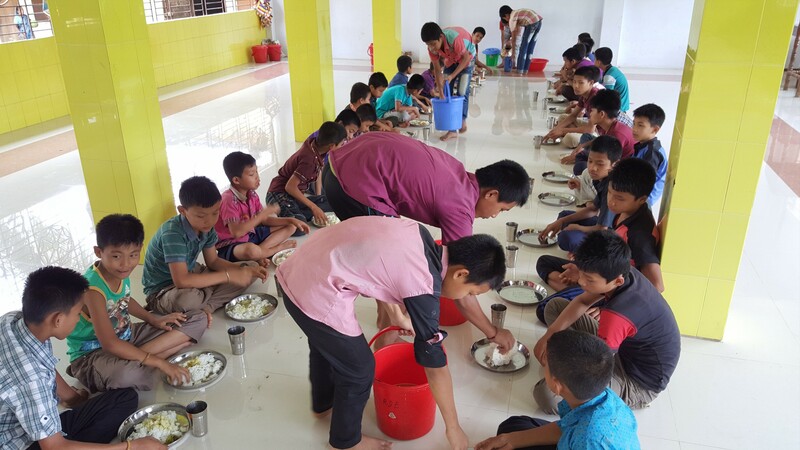 “Since November this year, I am now placed 8th out of 50 in my class!” Rotha’s family also receives 50 kilograms of rice support, which is enough to feed them for three weeks out of each month. Rotha’s favorite subjects are physics, chemistry, and math. She dreams of becoming an engineer. “Ever since I was young, when I see bridges and tall buildings, I always wish I could build them,” she explains. As GATE and its funders build bridges to brighter futures for these young scholars, Rotha is building academic bridges for her sister’s children, whom she tutors in reading, writing and math. With our continued support, perhaps Rotha will someday build brick-and-mortar bridges for Cambodia. Plean Sreytoek is the third of four children born to laborer parents in Bantat Boh village, Banteay Meanchey Province, Cambodia. Sreytoek’s parents care for the cattle of a rich family in their village. Sreytoek is the only child in her family who could reach the 12th grade; her other siblings were unable to even reach secondary school. The extreme poverty of Sreytoek’s family discouraged her at a young age from academic pursuits. As a child she dreamed of completing high school, but she never believed it would be possible. Her family owns no land. They can grow no crops for sale. At one point in her early adolescence she thought she would drop out in order to migrate to Thailand and support her family from there. When Sreytoek was in the 8th grade, she applied for and won a full GATE secondary school scholarship. Sreytoek lived in a GATE residential house and earned excellent grades. Even when her mother fell ill and Sreytoek had to work weekends in the rice paddies to help pay her family’s debts, she maintained her position as one of the top ten students in her class. Lotus Outreach’s GATE project supplied Sreytoek and her family with rice support to help lessen the burden of her mother’s medical bills. 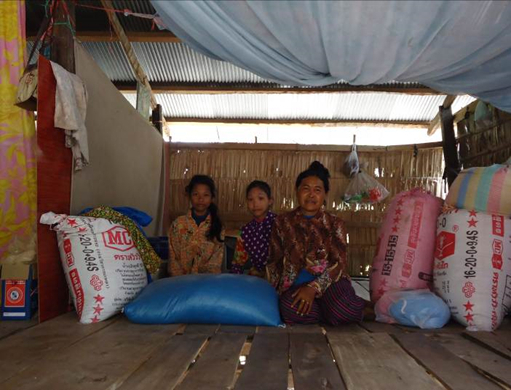 This tremendous assistance granted Sreytoek’s family the disposable income to pay their debts sustainably. Her family said they will never forget this great support for their daughter and their whole family. 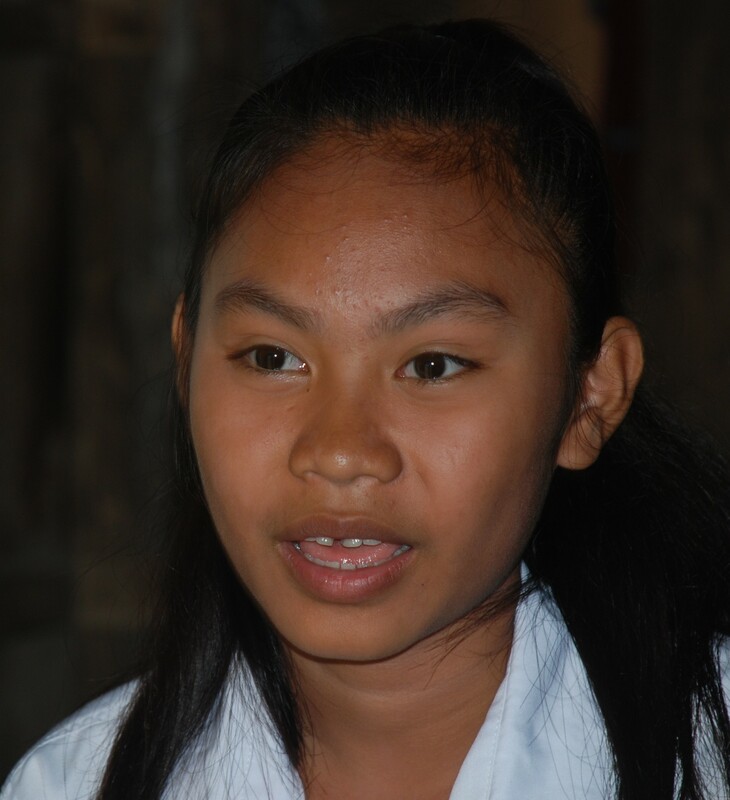 Sreytoek is now graduating high school and dreams of becoming a high school teacher. 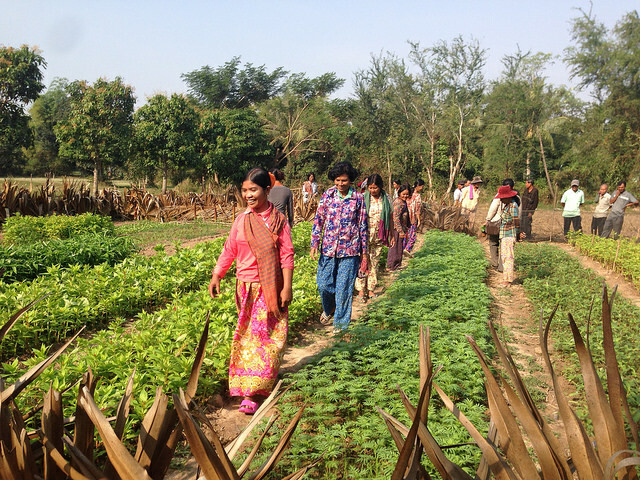 She aspires to provide an education to her community and earn money to support her family. Thanks to the generosity of GATE supporters, Sreytoek and her family have been able to escape the pitfalls of poverty.